Streamline your processes by becoming more organized. Adapt your current space to be more clean cut and easy to navigate with comprehensive storage plans. Coordinating your maintenance areas and improving the storage of all of the tools and items you need to provide your continued level of high-quality service is never a top priority until everything is utterly disorganized. Don’t let your workspace fall into disrepair. Take control of how you store your tools and products so that you can streamline your processes and turn projects around quicker, thus improving your profit margin and level of customer service. Depending on your needs as a business, your organizational needs vary. We’d hardly suggest a filing cabinet to help keep your different hammers and screwdrivers organized. The key to any improved storage solution starts with consigning space and materials. 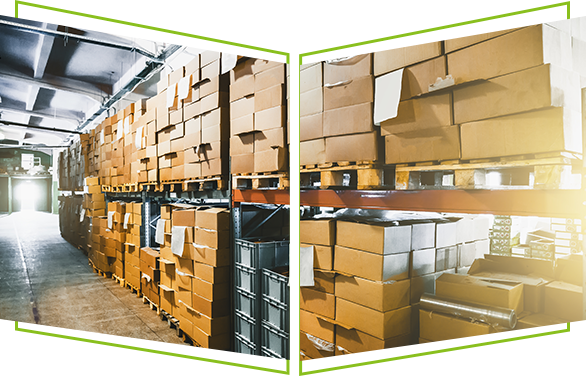 We have a wide variety of maintenance area specific storage solutions that can help you create continuity throughout your space and make your organization work better. With question marks about where things are. Felix Loeb’s storage designers can help you explore NC tool holders with sturdy inserts that can make placing your tools in plain sight easy and still space-conscious. We can help you look into modular drawers in shelving to keep your various products in neat, straight lines that make it easy for your workers to access the materials they need for each project. We can even help you portion off certain spaces with high-end materials using wire partitioning and two-level catwalk systems that can both protect certain products and ensure that you get the most out of every square foot in your space. Open shelving – Open shelving uses X-back braces and ladder side braces to secure the shelving unit. The Spider® shelving system is the only one that allows you to alternate the use of shelves (medium parts) and steel decking (large parts) while reducing the number of posts needed by 25%! Our common post enables more storage space. There are a wide variety of accessories available to store any products. Easily adjustable compression clip shelving. Closed shelving – Closed shelving uses sheet metal to enclose the sides and back of each unit. The Spider® shelving system is the only one that allows you to alternate the use of shelves (medium parts) and steel decking (large parts) while reducing the number of posts needed by 25%! Our common post enables more storage space. There are a wide variety of accessories available to store any products. Easily adjustable compression clip shelving. Mini-Racking is designed for storing heavy and bulky parts. Its many dimensions, combined with a choice of decking, make it possible to have a custom configuration tailored to your own needs. We’ve been providing state-of-the-art storage solutions of all kinds for all different sorts of work spaces in the Chicago area for a long time. Whatever your space looks like and no matter what you need to store we’ll find the best way to store as much of what you need in a neat and orderly fashion as possible. We’re happy to take a look at your storage needs and space and give you a free project quote when you’re ready. Reach out to us below to schedule your consultation.